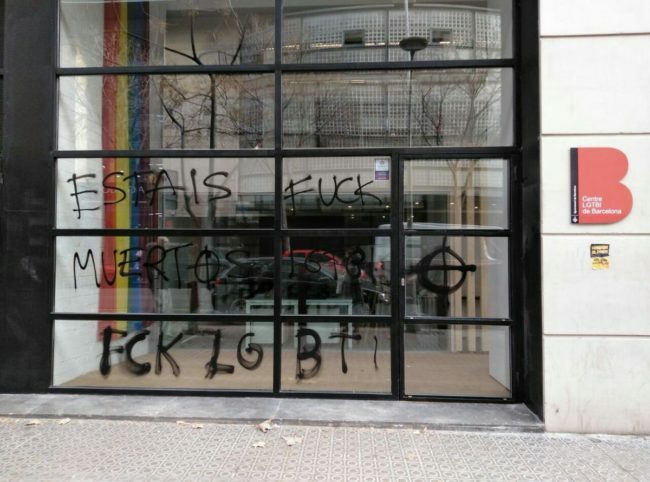 Citizens of Barcelona have shown their support for the queer community after the city’s LGBT Centre was vandalised just over one week after opening. 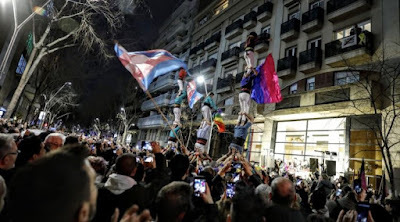 The LGBT Centre opened in Barcelona on January 19, described it as a historic day. However, it was vandalised on Sunday, January 27, earlier in the morning. 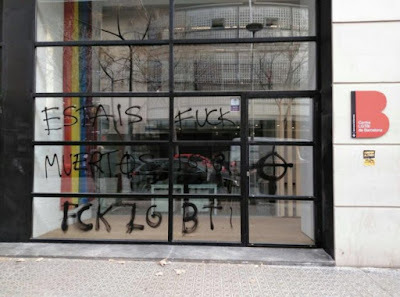 The glass door was broken and walls were graffitied with “f*ck LGBT” and fascist symbols. 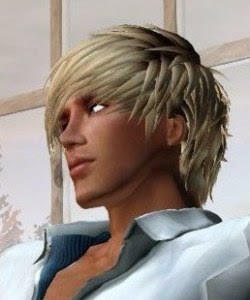 After the cowardly attack, thousands residents gathered in front of the building in solidarity with the queer community. The mayor of Barcelona, Ada Colau, condemned the attack and she showed in her speech the total support of the city to the LGBT community. “Today this city has sent a clear and blunt message: hate is not welcome. 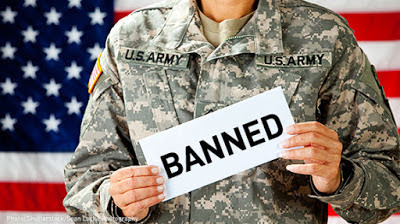 There will be no impunity,” Colau said. I join with them and strongly condemn this intolerable attack.